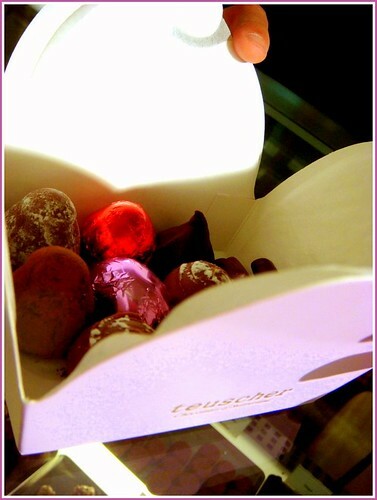 Teuscher Chocolates of Switzerland has its origins in a small town in the Swiss Alps. This chocolate is approximately 70 years old. Dolf Teuscher was his name, and he toiled and slaved over his stove, blending the world’s finest most natural ingredients to produce his now famous chocolate recipes. 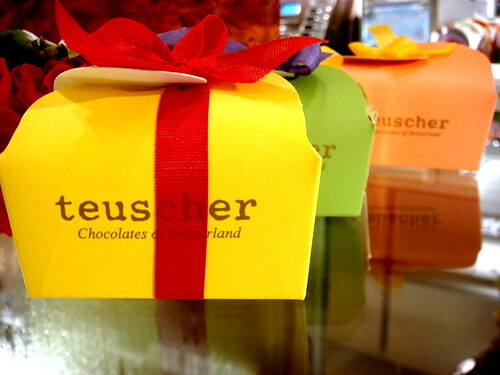 If you guessed Teuscher ranks No.1 on Top 10 chocolates in the world (An Ultimate Guide for Travellers published by National Geographic), you would have guessed right. What’s even more interesting is that Valrhona ranks 4th and Godiva ranks 6th or 7th on that list. 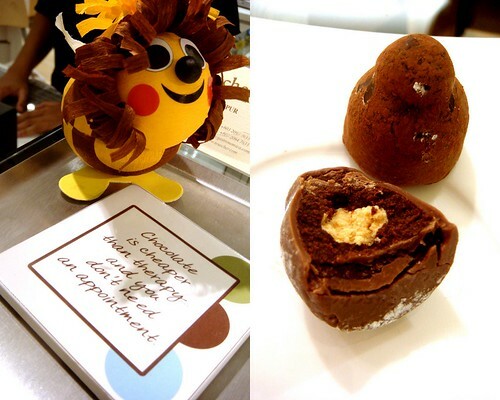 In light of this, saying that the chocolate here is exquisite in taste and texture, might be an understatement. 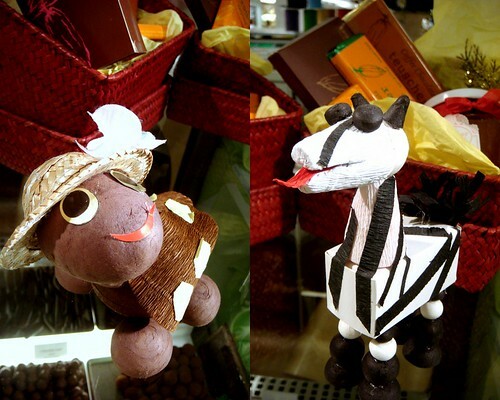 Apparently, these chocolates are prepared fresh in the kitchens of Zurich and flown directly to all stores in Europe, Canada, America and Asia. 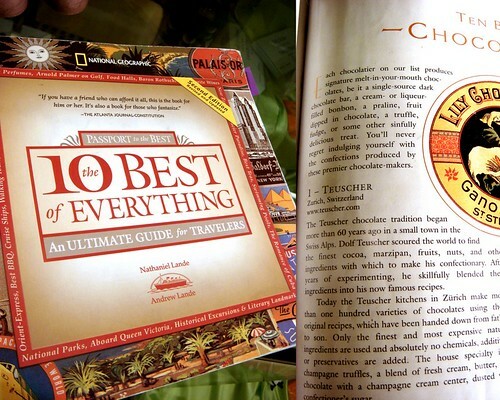 The house specialty (and my favourite) is the Champagne Truffles. These Champagne Truffles have a Dom Perignon champagne cream center, surrounded by dark chocolate ganache, covered with milk chocolate and dusted with confectioner’s sugar. Why I feel the truffles here are superior, is because of the quality and the increased amount of cocoa butter used, giving them a richness not found in other chocolates. I was told that these truffle centers are ‘conched’ longer, creating an incomparable smoothness. 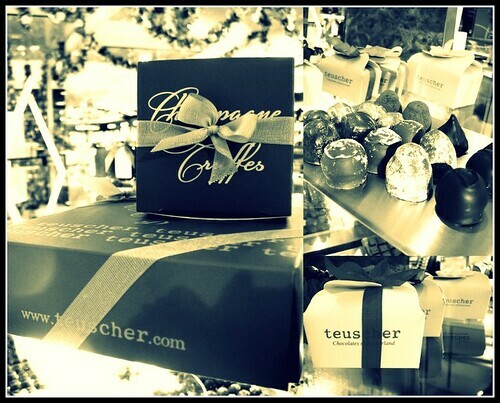 Nothing satisfies the cravings of a “mum to be” as the hot chocolate from Teuscher. It reminds me of the silky smooth taste of European full cream milk, blended straight into thick cocoa powder, with no extra water added. Liquid, molten, pleasure-in-a-cup to soothe the anxious mind and calm the soul.. what more can one ask for. 1. 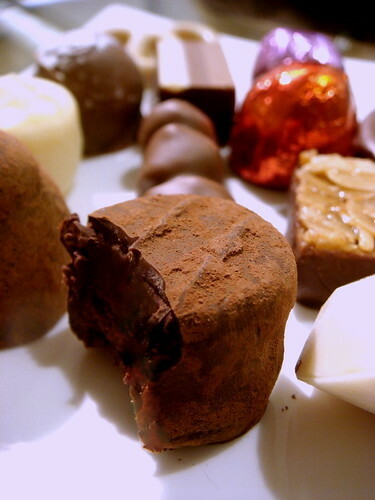 THE 12-STEP CHOCOHOLICS PROGRAM: NEVER BE MORE THAN 12 STEPS AWAY FROM CHOCOLATE. 2. I WANT IT ALL, AND I WANT IT SMOTHERED IN CHOCOLATE. 3. CHOCOLATE IS CHEAPER THAN THERAPY, AND YOU DON’T NEED AN APPOINTMENT. 4. THERE IS NOTHING BETTER THAN A GOOD FRIEND, EXCEPT A GOOD FRIEND WITH CHOCOLATE. 5. 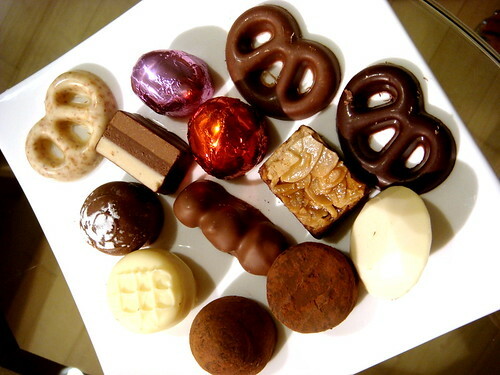 IN HEAVEN, CHOCOLATE HAS NO CALORIES AND IS SERVED AS THE MAIN COURSE. 6. DO NOT DISTURB: CHOCOLATE FANTASY IN PROGRESS. 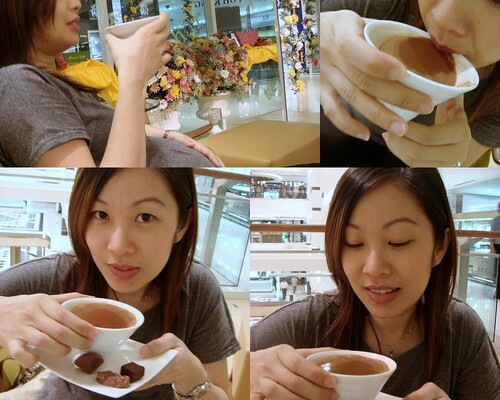 Thanks to Deanna Yusof… we can indulge in the finest chocolate in the world!!! I think it's Ruthlene Abu Sahid & hubby's project. didn't read articles carefully.. hahaha!! Oh… I'm so jealous now. When I went there last week, the cupboard was bare. No more champagne truffles!!! Eeeeek! Totally O.D already this week. Need to run and shake off some phat first. Then can go there next week! Oh my.. oh my…. *drooling* Share with me, pleaseeeee…. ahhh…so if ciki is pissed fed her chocs? Of course..Teuscher only of course! that's funny.. but erm, i agree! which goes to show they really DO run out and have to wait for the overseas supplies! all u need is love.. and chocolates! haha..